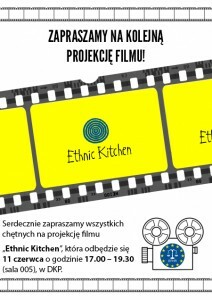 The European Foundation of Human Rights (EFHR) warmly invites everyone to the screening of the film ‘Ethnic Kitchen’. The screening will take place on 11th of June from 5 to 7.30 pm (in room 005) in the House of Polish Culture (DKP). It is worth mentioning that this will be the third and final show from the series ‘Evenings with the documentary’, which we have written about previously. 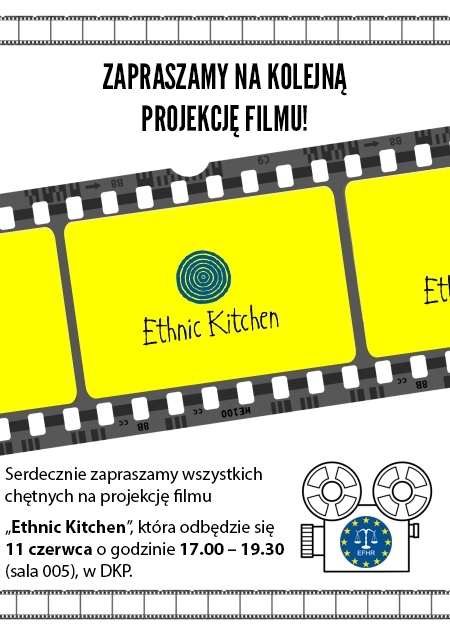 The film ‘Ethnic Kitchen’, which is going to be presented, was created by the director Aistė Ptakauskaitė, who together with four of her characters (among them Bożena Karvielienė) will be our guest. The film tells the story of four non-Lithuanian women who have lived in Lithuania for many years. It can be seen as the answer to the question can Lithuania be one’s Promised Land. After the discussion, there will be a prize draw for two cinema tickets for a film of the winner’s choice. Within the series, we have had two projections together with discussions so far. On 28th May, we showed our first screening in the series, ‘Experiment Translation’, where Birutė Sabatauskaitė was our special guest. The second screening was of the film ‘Carpathian Romanies from the Polish and Slovak borderland’, which took place on 4th June. You can find out more about these events in our previous announcements.